As readers of this blog may have surmised, I spend a lot of time looking through flea markets, junk shops and antique malls. Often it is just for the fun of looking at lots of random material culture, sometimes it is a search for inspiration from an obsolete tool or machine, and sometimes it is the thrill of finding a rare bird in the wild. My Collection. Daily’s “Perfect Stroke” Brushes and Supplies, Catalog # 15. Front cover. A couple weeks ago I scored big on a $3 investment. This seems to be the only known copy of this particular catalog. Worldcat only lists #3, #11, and #17. No copies of catalog #15 are available on ABE or other online sites. I’m guessing my #15 copy is from 1929. Trade catalogs are very useful. They provide information and context about specific tools or techniques. They often have detailed illustrations and textual descriptions of unusual tools. For example, there is an incredibly cool folding palette knife with an ebony handle on page 51. And only $1.35! If I could only go back in time . 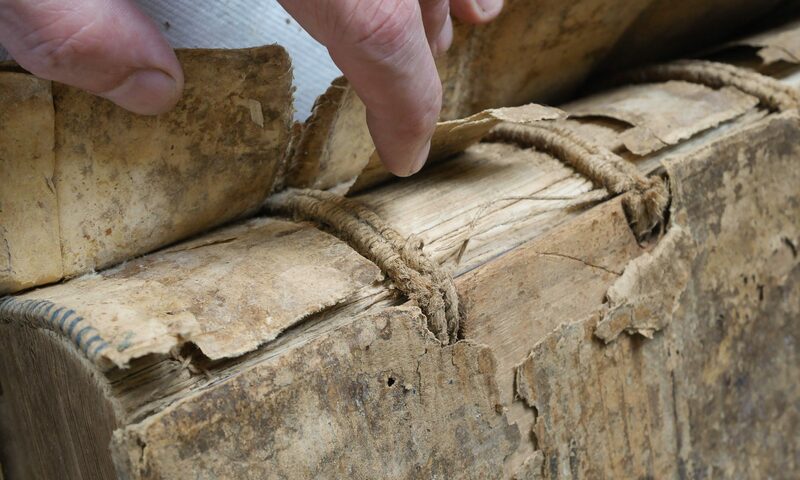 Technical information often abounds. For example showcard brushes were pure red sable, while lettering brushes were grey camel hair. My Collection. 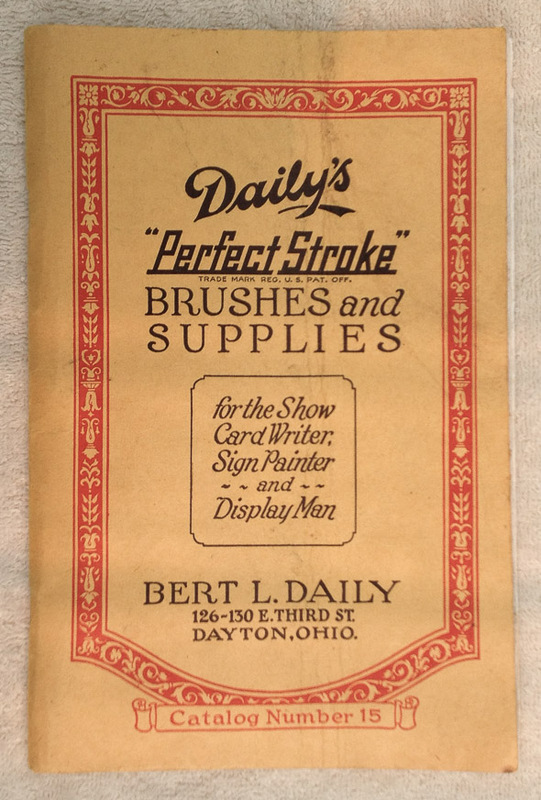 Daily’s “Perfect Stroke” Brushes and Supplies, Catalog # 15. Page 24. One tool in particular caught my eye: the Artascope. 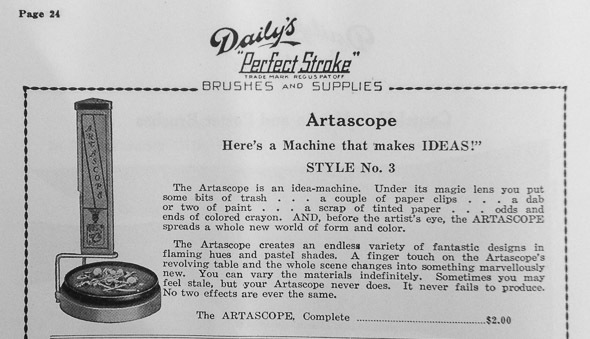 The Artascope is described as an “idea-machine”. The kaleidoscope on-line book mentions it is constructed with a 4 Point Mandala or 45 degree 2-mirror system which generates the internal image. I can’t quite wrap my head around this. The inclusion of it in a professional sign painters catalog is at odds with the general current classification of this early kaleidoscope as a toy. Contextual evidence from the literature adds to our understanding of this odd little machine, which was at least co-marketed to professional artists. The trick is differentiating technical information from ad copy. I wonder if there are people (maybe yourself) who could recreate some of these tools today, since catalogs like this describe them so well. I suspect these could be recreated, though there are still a number of them kicking around on ebay, likely a lot cheaper than trying to build a new one! And just to clarify, I was thinking in general about the technical information like the variety of brush sizes and the materials they were made of, not so much the Artascope. As the previous comment indicates, it is more ad copy. But it still places this machine in a professional (not toy) context, which does add to our understanding.